Save time and money with two books in one! 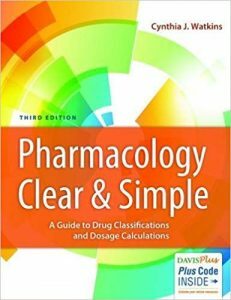 Half pharmacology, half dosage calculations—plus an intensive, yet clear & simple review of basic math! 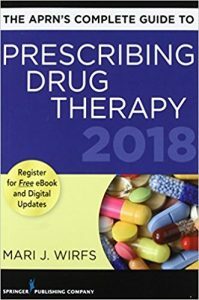 Here’s the must-have knowledge and guidance you need to gain a solid understanding of pharmacology and the safe administration of medications in one text. A body systems approach to pharmacology with a basic math review and a focus on drug classifications prepare you for administering specific drugs in the clinical setting. 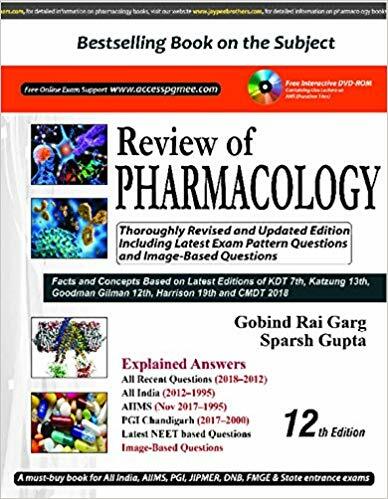 A new chapter ‘Conceptual Questions’ has been added to cater to the needs of students preparing for US-MLE, PLAB and AIIMS examinations. New NBE-based pattern (wider coverage, concept development, one-liner approach). Large number of Image-Based Questions with Answers have been added. Solved MCQs (PGMEEs 2016-1995) including All Recent Questions (2016 to 2012). Golden points after theory of every chapter. High Yield Points highlighted separately as boxes on every page. 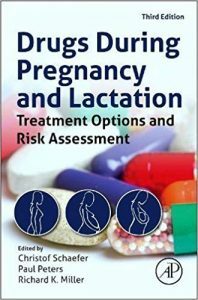 ‘Drugs of Choice’ has been incorporated separately at the end of each chapter. Thoroughly revised, updated and fully colored edition. Interactive 3 hours’ DVD-ROM containing live lecture on sympathetic system. Chapter wise concise yet complete text in a new layout for enabling the student to study ante grade. Provides the advantage of both ante grade as well as retrograde study. MCQs whose answers change slightly in the statement of questions are given back-to-back. Annexures on ‘History of Pharmacology’, ‘New Drugs’ and ‘Drug of Choice’. Includes chapter on ‘New Drugs’. Equip yourself to safely administer more than 400 intravenous drugs with the #1 IV drug handbook on the market! 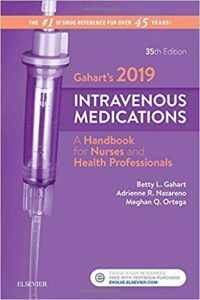 Now in its 35th edition, Gahart’s 2019 Intravenous Medications: A Handbook for Nurses and Health Professionals continues to be the most proven resource for comprehensive drug coverage, unparalleled accuracy, and an intuitive quick-access format. 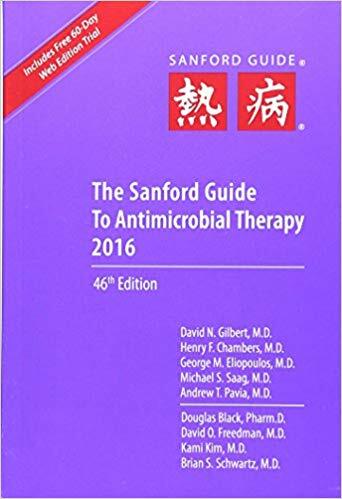 In addition to updating drug interactions, precautions, alerts, and patient teaching instructions for all existing IV drugs, this new 35th edition includes over a dozen new monographs of the most recent IV drugs to be approved by the FDA. 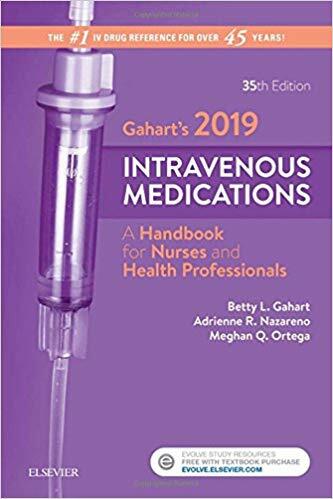 When being inaccurate or out-of-date is not an option, Gahart’s annual publication and 40-year history of impeccable accuracy offers the confidence and proven guidance you need to safely and effectively administer any IV drug available today. Annual publication prevents users from referencing outdated information. 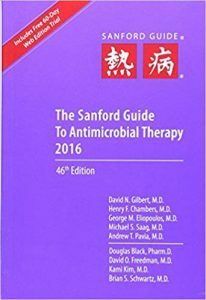 Monographs on more than 400 IV drugs offers an impressive breadth of coverage that goes well beyond any comparable drug reference. The perfect depth of information contains everything that is needed by today’s clinicians for safe administration of IV drugs ― nothing less, nothing more. Proven, clinically-optimized page layout keeps all dosage information for each drug on either a single page or a two-page spread to prevent hand contamination by having to turn a page. Highlighted Black Box Warnings and relevant content make locating critical information fast and easy. Special circumstances in blue-screened text call attention to important circumstances that may not warrant black box warnings. Convenient, alphabetical format organizes all drug monographs by generic name, allowing users to find any drug in seconds. 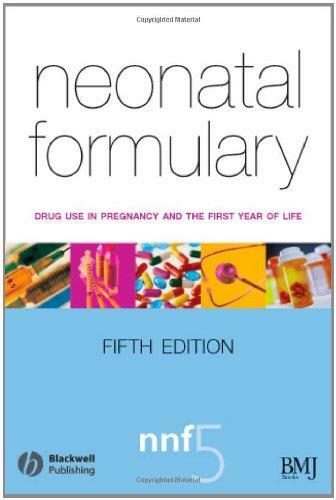 Life stage dosage variances are highlighted for geriatric, pediatric, infant, and neonatal patients. NEW! Over a dozen new drug monographs provide current, clinically relevant drug information for the most recent IV drugs to be approved by the FDA. NEW! Updates on drug interactions, precautions, alerts, and more have been made throughout the guide to reflect all changes to existing medications. 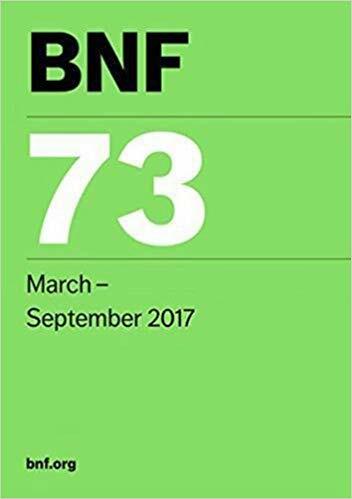 BNF 73 (March 2017) is the authoritative guide to prescribing, dispensing and administering medicines for all healthcare professionals. Access to the latest edition of BNF is vital for healthcare professionals. 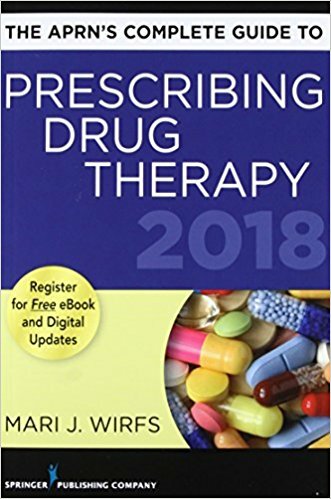 Compiled with the advice of clinical experts and continually updated to reflect the latest evidence from credible sources worldwide, this essential reference provides up-to-date guidance on prescribing, dispensing, and administering medicines. 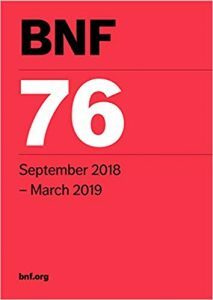 Not only does the BNF include a widely accepted framework for the drug management of common diseases, it also includes details of medicines prescribed in the UK, with special reference to their uses, cautions, contraindications, side-effects and dosage. This allows treatment to be tailored to the individual needs of each patient. The BNF is updated in print every six months by an expert team of pharmacists; validated by a network of leading clinicians from many spheres of clinical practice; and published under the authority of a Joint Formulary Committee. The BNF reflects current best practice as well as legal and professional guidelines relating to the use of medicines. As a result it is used widely as a touchstone reference, and cited by regulatory bodies and courts as a source of authority. This top-selling medical pharmacology study tool is now in its Fourth Edition. 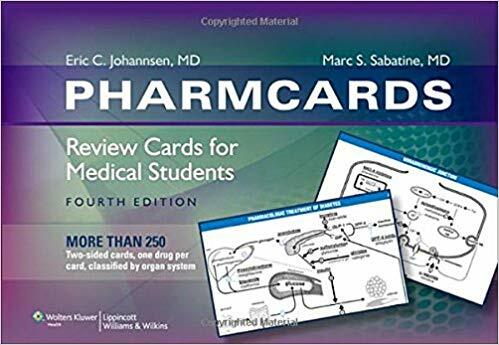 Targeted for second year medical students to review and prepare for the USMLE Step 1, these updated cards are organized by mechanism, and feature a template format that conveys information needed for learning and retaining the pharmacology concepts as well as for memorization. Five new cards are added to comprise a section, Fundamentals of Pharmacology, plus 50 additional drugs are covered. Other revisions include renaming Side Effects to Adverse Effects, and inclusion of chemical structures retained only where a clear connection to the mechanism applies. Now in its Fourth Edition, PharmCards is the best-selling card-based pharmacology review for medical and allied health students. The 300-card set presents both ///Thirty-Fourthfundamental///Thirty-Fourth and organ system-specific information for specific drugs using a standard format. This edition features a new two-color design and more than 150 two-color images. Topic selection is based on the medical pharmacology curriculum determined by the National Board of Medical Examiners.